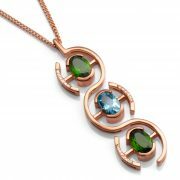 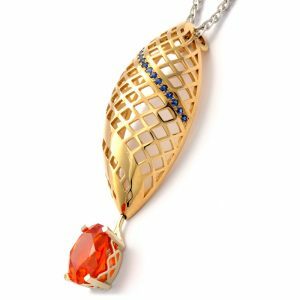 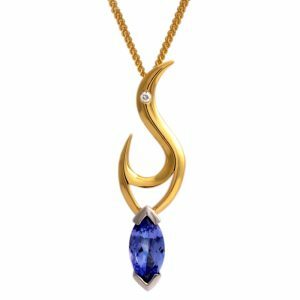 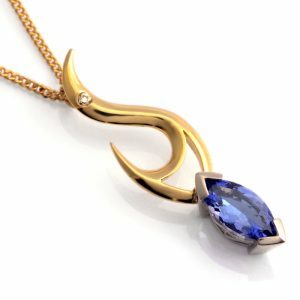 Eye-catching pendant featuring glowing bands of metal which dance around radiant central stones, conjuring thoughts of astronomy. 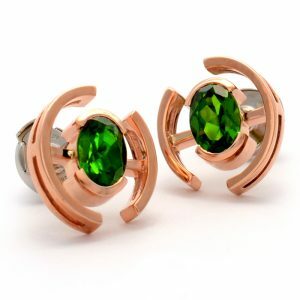 The arched segments of highly polished precious metal denote the bands of light caused by charged solar particles seen within the meteorological phenomenon known as an aurora. 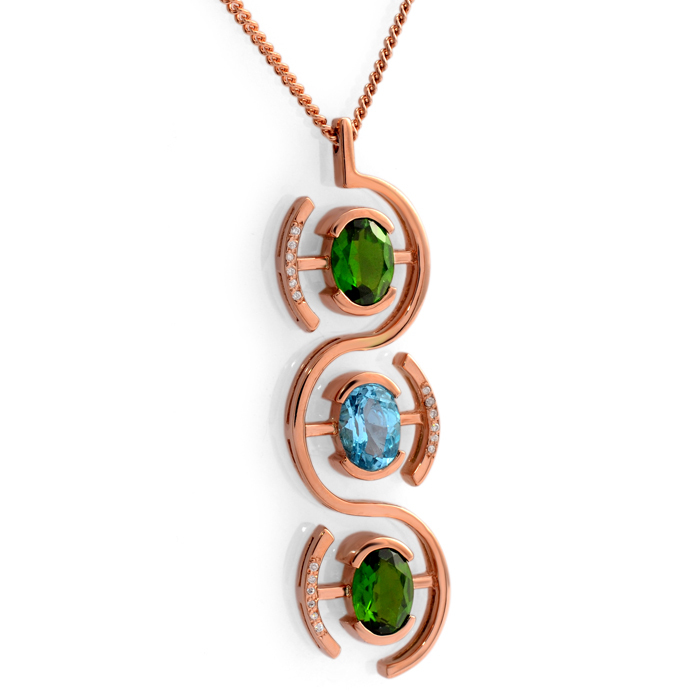 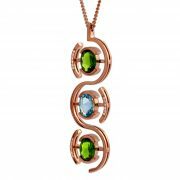 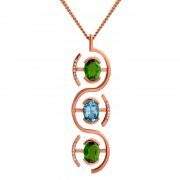 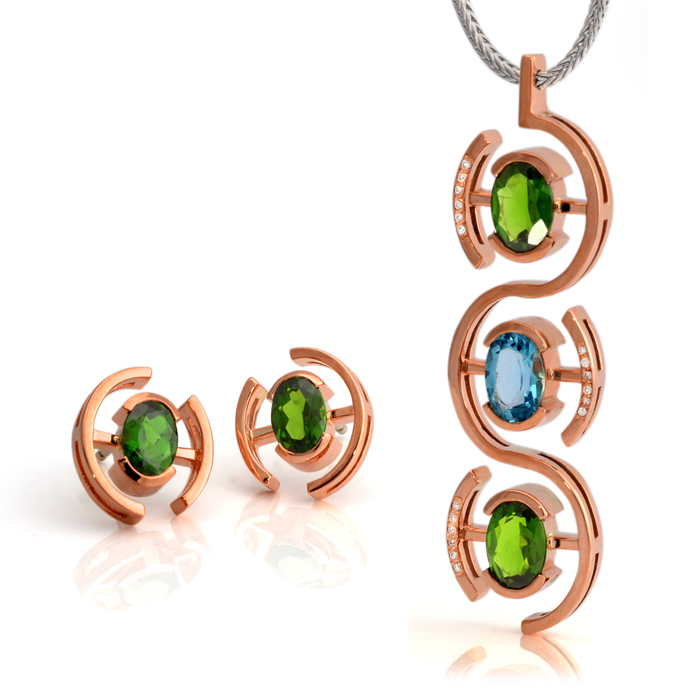 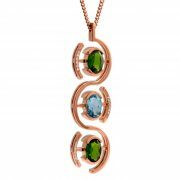 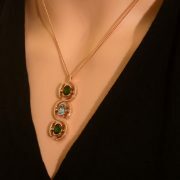 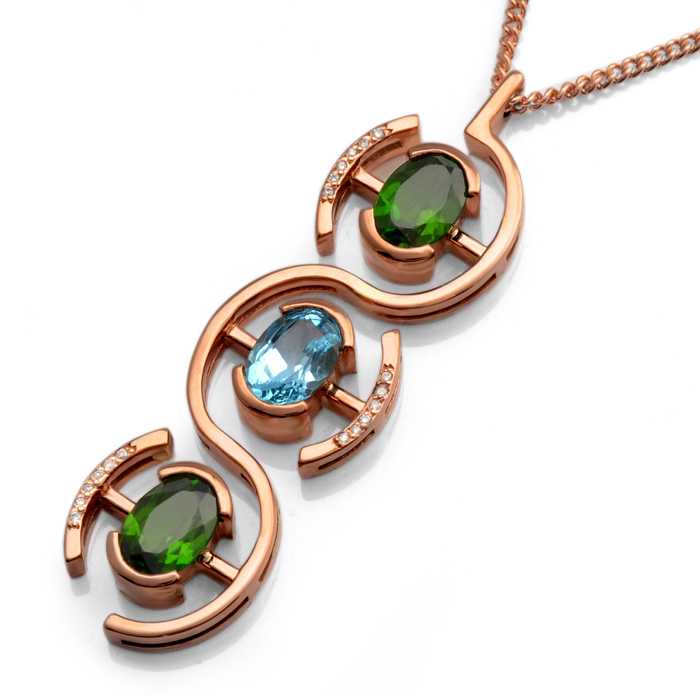 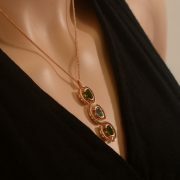 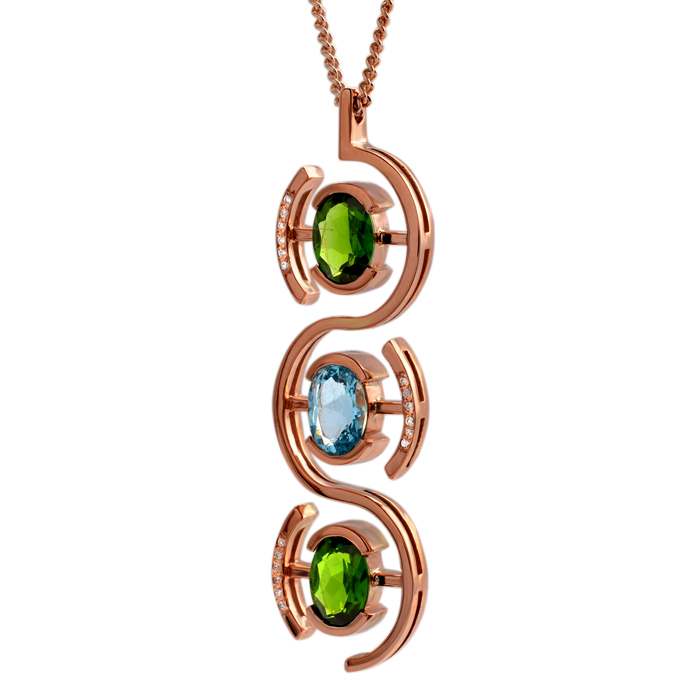 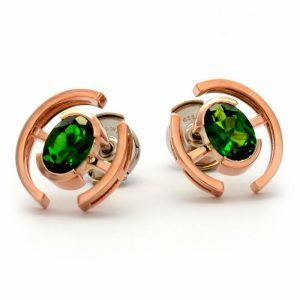 9ct rose gold featuring a pair of demi flush set, 1.52ct, oval faceted Green Russian Chrome Diopside, and a single 0.80ct oval faceted Swiss Blue Topaz. 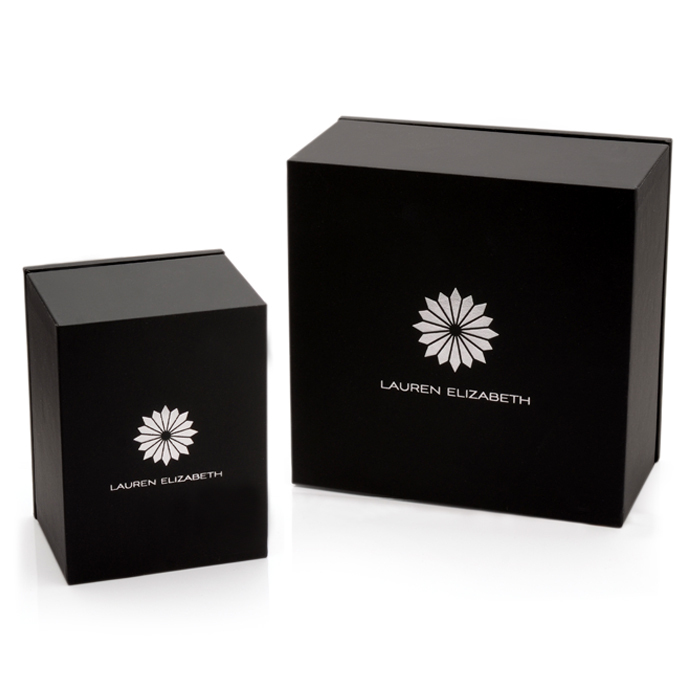 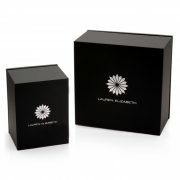 This pendant is beautifully accented with 0.045ct grain set white VS1 round brilliant cut Diamonds. 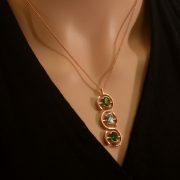 Features fixed 9ct rose gold curb chain with trigger clasp. 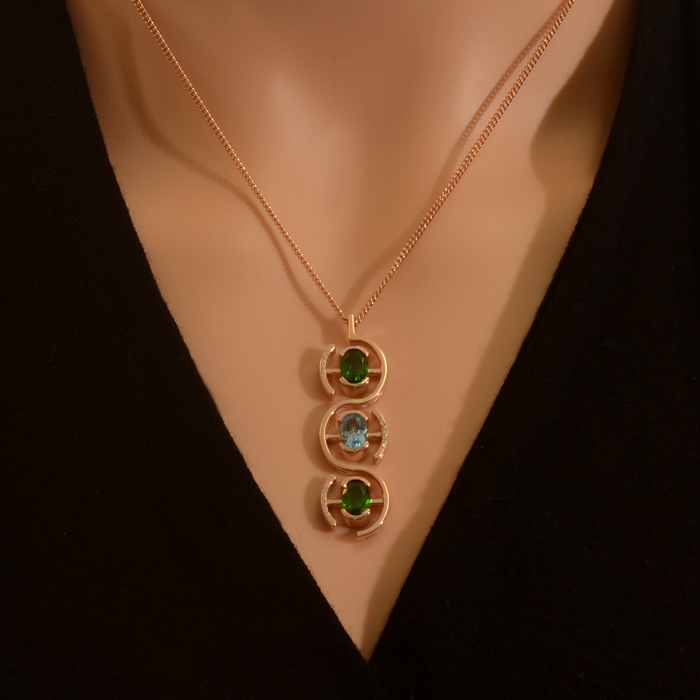 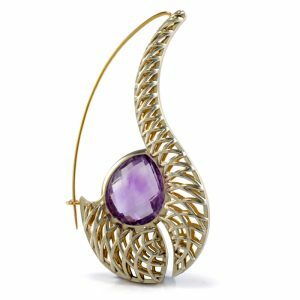 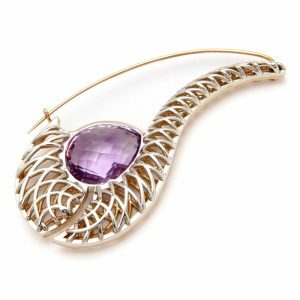 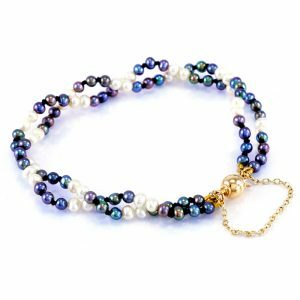 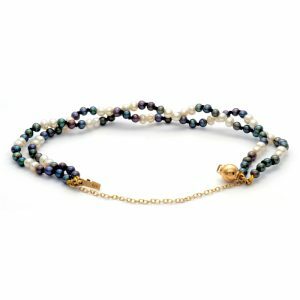 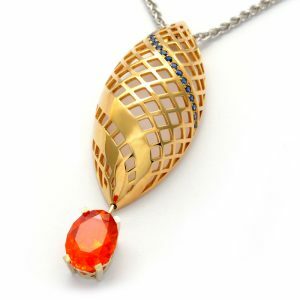 If you would like an alternative metal, chain length or gemstone combination (7x5mm oval faceted) please get in contact for an order made to your specification.